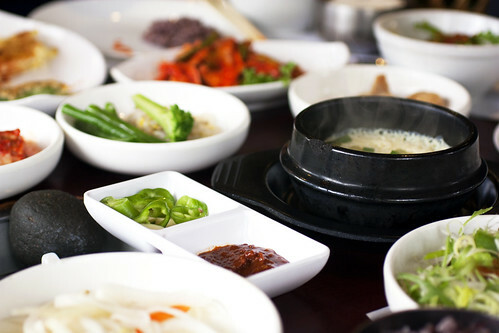 the banchan (반찬, side dishes) is plentiful. 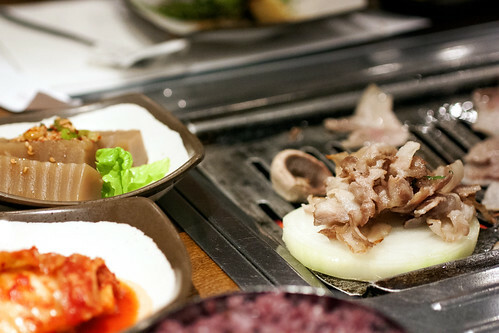 However, Dong Bang Grill gets packed quickly with large groups, and reservations are recommended, so it’s not a convenient pop-in kind of place. I personally prefer Zen Zen. It doesn’t have as much ambience, but the meat is more flavorful, and the free mini mul naengmyun (물 냉면, noodles in cold beef broth) that comes with any meat order doesn’t hurt. Chung Dam Dong isn’t my go-to for grilled meats, but the baby octopus and pork belly stir-fry is ridic, and their banchan is the best in Jersey. 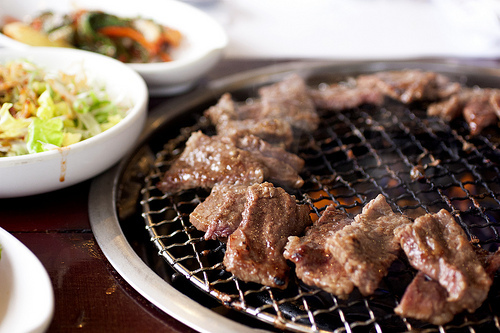 That said, their grilled options like the samgyupsal (삼겹살, pork belly; pictured above) are also mighty tasty. 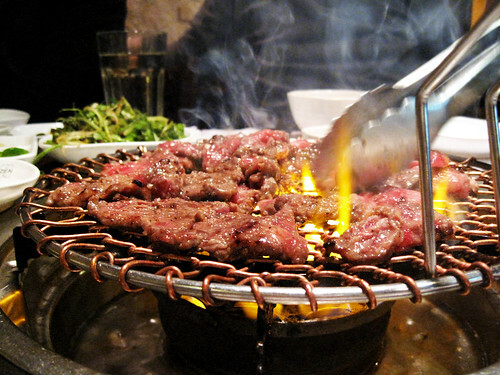 Just don’t order the thin samgyupsal; it sticks too much to the grill. 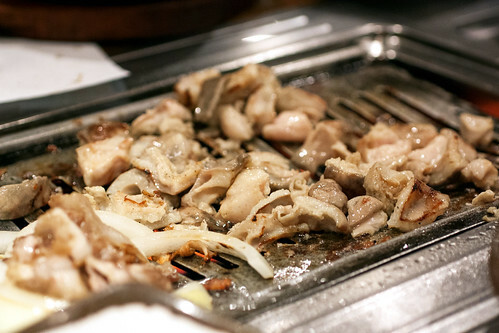 For offal lovers, Chung Dam Dong has that too. Most recently, I ordered the large intestine which was markedly less funky than at other places. This is a minus or plus depending who you are. I personally prefer a bit more funk, just enough to remind you what you’re eating, but it was good nevertheless. Happy Thanksgiving all! This year was insanely stressful for me (OMG, THE DRAMA!) but I’m thankful things worked out at the end. Happy eating and food bless. UPDATE (12/29/14) – If you were curious, this is what we ended up eating.